The governments of Mainland China and Hong Kong signed the Closer Economic Partnership Arrangement (CEPA) on June 29. After 18 months of discussion, CEPA has come up with measures expected to strengthen trade and investment cooperation between the two sides. Measures include lifting customs tariffs, liberalising market access and lowering investment thresholds. CEPA reflects Beijing's strong desire to boost Hong Kong's flagging economy. BNP Paribas Peregrine believes the pact will help Hong Kong achieve an economic growth rate of 4 per cent next year, compared with 0.9 per cent forecast for 2003. The arrangement covers three broad areas – sale of goods, provision of services and cross-border trade and investment facilitation. Within the services sector, qualified Hong Kong companies (see box overpage) are allowed to engage in 18 sectors and enjoy benefits in terms of greater market access and the removal of specific restrictions. Those service companies in the distribution sector, including wholesaling and retailing, stand to gain most from CEPA. Despite its accession to the World Trade Organisation, the Mainland Chinese government has not yet fully opened the distribution sector to foreign investors. The sector is still limited to joint ventures and subject to geographical limitations to certain large cities, such as Beijing and Shanghai. With the signing of CEPA between the Mainland and Hong Kong governments, the Chinese distribution market will be liberalised to HK companies earlier in these three areas: commission agents and wholesale trade services, retail trade services and franchising. Franchising is a highly restricted sector in China. With CEPA in place, HK companies will be permitted to engage in franchising on a wholly foreign-owned basis. However, detailed implementation details have yet to be announced. HK companies will also be allowed to set up wholly foreign-owned enterprises (WFOEs) to carry out wholesale and retail business in China from January 1, 2004 – a year ahead of other overseas competitors. 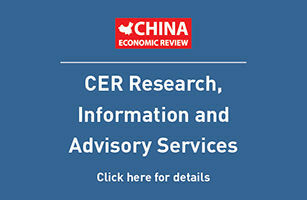 Meanwhile, CEPA lowers the set-up requirements for a wholesale or retail enterprise in terms of annual sales, assets and capital requirements, thereby allowing more medium-sized HK companies to have an affordable foothold in China. CEPA also allows HK companies to set up retail enterprises in cities at the prefectural level in China and cities at the county level in Guangdong province, whereas the WTO commitments and current regulations offer opening of provincial capital cities only. This is crucial, as it gives HK companies flexibility in planning and expanding their retail networks across China and the opportunity to capture a bigger market share from other overseas competitors. A trading company can engage in cross-border wholesale trading and agency services. It can buy imported goods and sell them in China, as well as engage in domestic sourcing for export. However, a trading company is not allowed to purchase locally for sale in the China market. Wholesale commercial enterprise A wholesale commercial enterprise can engage in both import and domestic trading at the wholesale level. However, it is restricted to trade goods on its own account and the value of its annual imports is limited to 30 per cent of its total annual sales. A retail commercial enterprise can engage in both import and domestic trading at the retail level. Subject to the approval of the Chinese authorities, a retail commercial enterprise may also carry out importation activities and domestic trading at the wholesale level. However, as above, a retail commercial enterprise is restricted to the trading of goods on its own account and a 30 percent limitation on the annual importation. Currently, foreign investors carry out their distribution businesses in China in a variety of ways – for example consignment sales, outright sales and purchase. However, the most common distribution model is to set up a free trade zone (FTZ) company to sell goods to customers in China via import and export agents and bonded markets. At the same time, that foreign company also maintains representative offices in China to provide support to the distribution network and liaison services to customers. Since representative offices are restricted to liaison activities and cannot perform the sales function, the growth potential of the business may be hindered. Depending on its objectives, an investor might consider setting up a trading company, wholesale or retail commercial enterprise to replace the FTZ company. With an appropriate distribution company, it can engage directly in China's distribution business without relying on any third-party import/export company or bonded market. This secures a better control on network efficiency and enables prices to be set more competitively, as no commission need be paid to an import/export company or bonded market during the importation process. More important, the investor can operate its own distribution network outside the FTZ by setting up branches to provide direct sales support and liaison with its customers. This approach also allows the investor to gain first-hand marketing information and feedback from customers. The current CEPA covers broad areas only. Many definitions and details will be supplemented over time, which means that some issues crucial to investors will remain unclear. For example, officials from Hong Kong and Beijing have so far failed to reach agreement over the definition of Hong Kong goods – whether it should cover goods with 25 percent or 30 percent of the manufacturing process completed in the territory. CEPA is an ongoing and evolving process between the Mainland and Hong Kong. Foreign investors should adopt an open attitude and monitor the latest developments. In addition, it is now a good time for foreign investors to revisit their strategies in China in light of CEPA and take advantage of the special concessions given to HK companies. This article was written by Marina Wong, tax partner, and Kelvin Lee, senior tax manager, from the Hong Kong office of PricewaterhouseCoopers.